President Joko "Jokowi" Widodo previously planned to release the jailed spiritual leader of Al-Qaeda-affiliate Jemaah Islamiyah (JI) on humanitarian grounds, citing his old age and deteriorating health. However, Ba'asyir was ineligible for unconditional release as he refused to declare loyalty to Pancasila – a special requirement for all terror convicts to obtain parole as stipulated in Government Regulation (PP) No. 99/2012. "Yes [the plan has been cancelled], because the requirements could not be negotiated," Presidential Chief of Staff Moeldoko said on Tuesday. The President, who had confirmed the plan on Friday, backtracked on his decision following criticism over it, saying on Tuesday that the requirement in the PP must be met before Ba'asyir can receive conditional parole. Ba’asyir has been in prison since 2011. 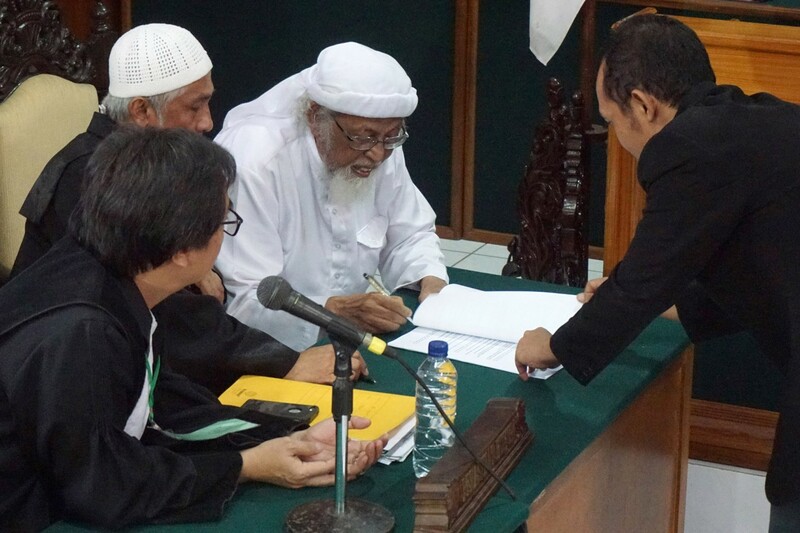 He received a 15-year sentence for funding a military training camp for terrorists in Aceh. He is currently detained at the Gunung Sindur prison in Bogor, West Java, and has received treatment for chronic venous insufficiency, blood clots and varicose veins in his leg since 2017.